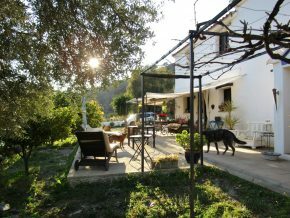 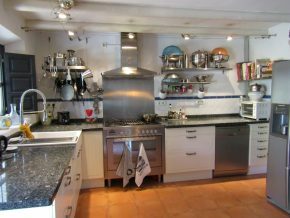 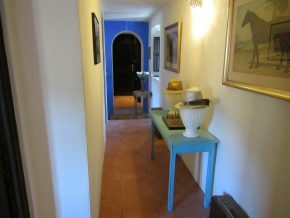 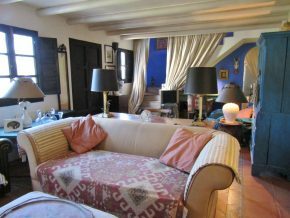 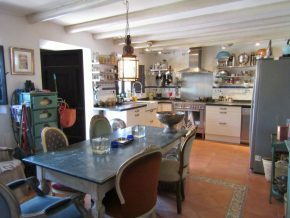 A very beautiful country house on two floors in the natural countryside on the Southern slopes of a beautiful river valley, with full sunshine all day and plenty of space! 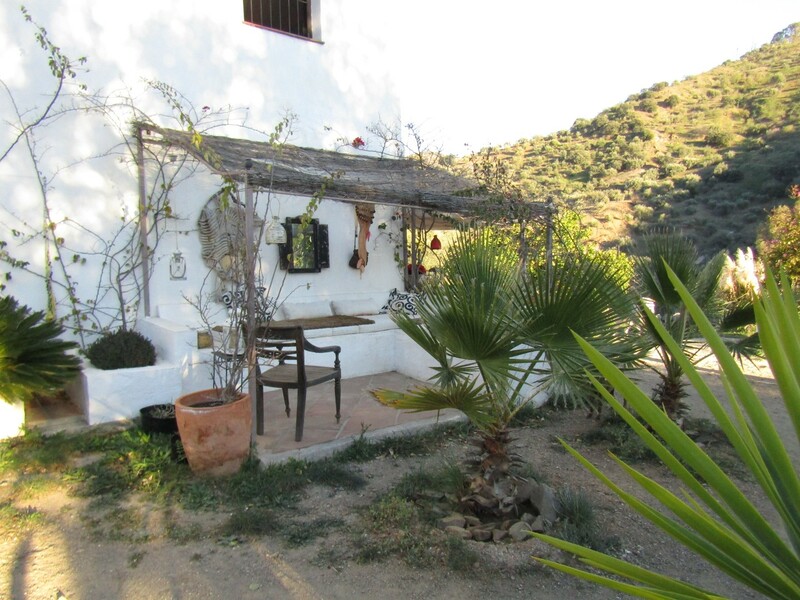 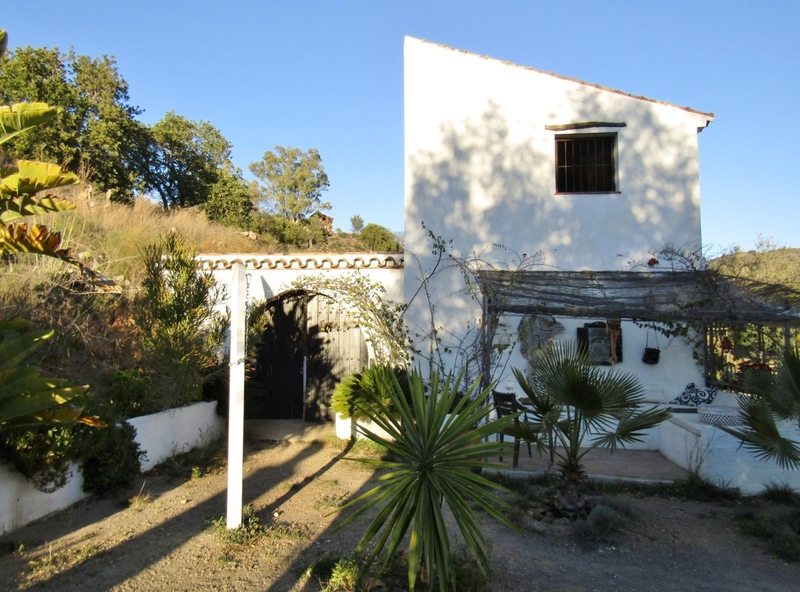 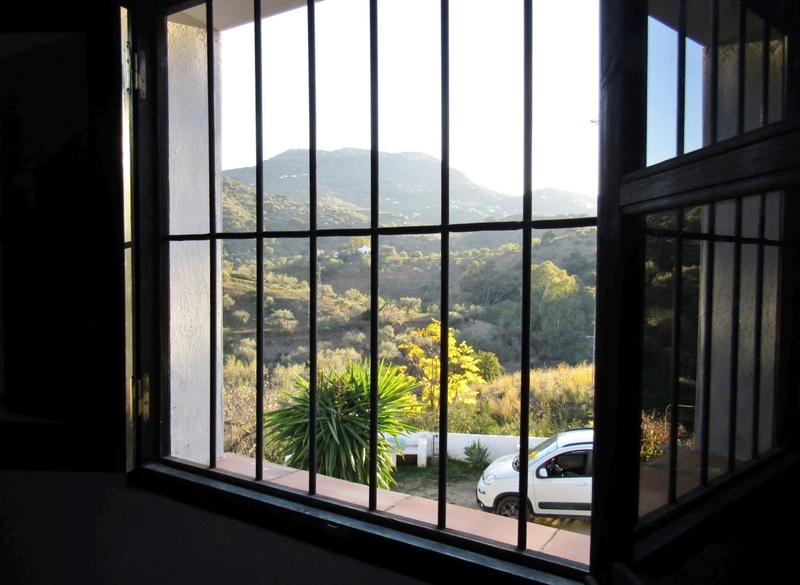 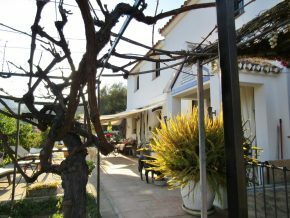 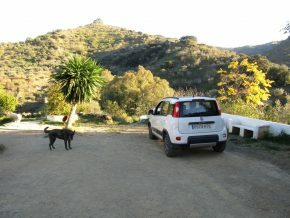 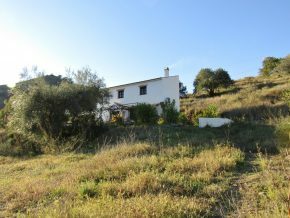 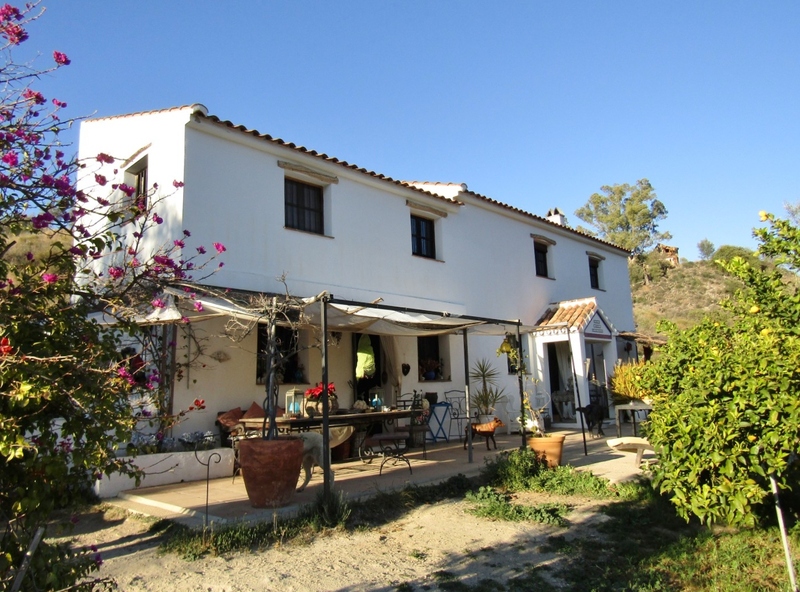 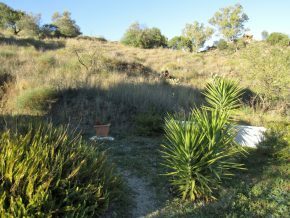 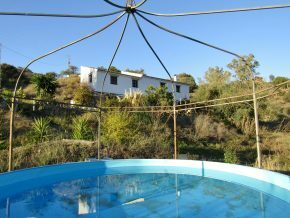 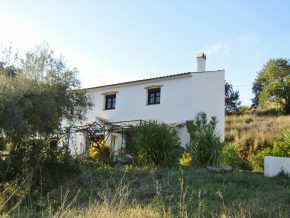 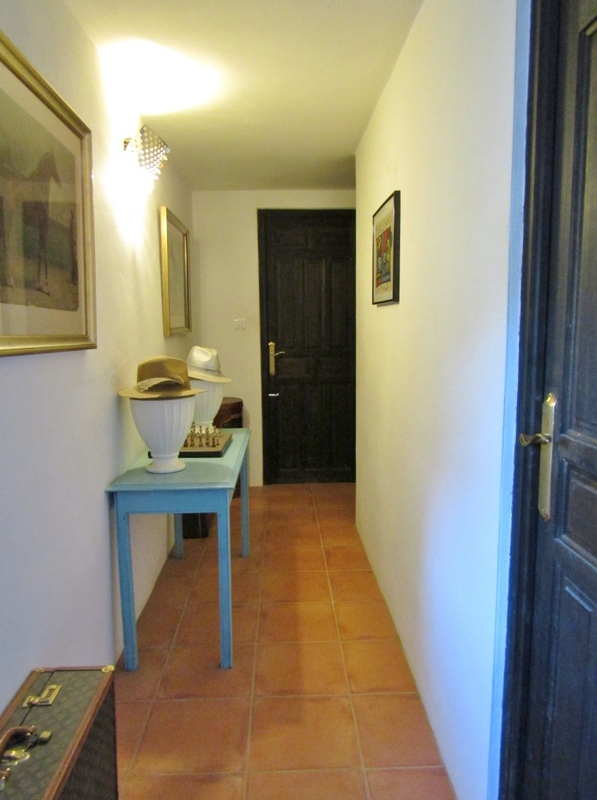 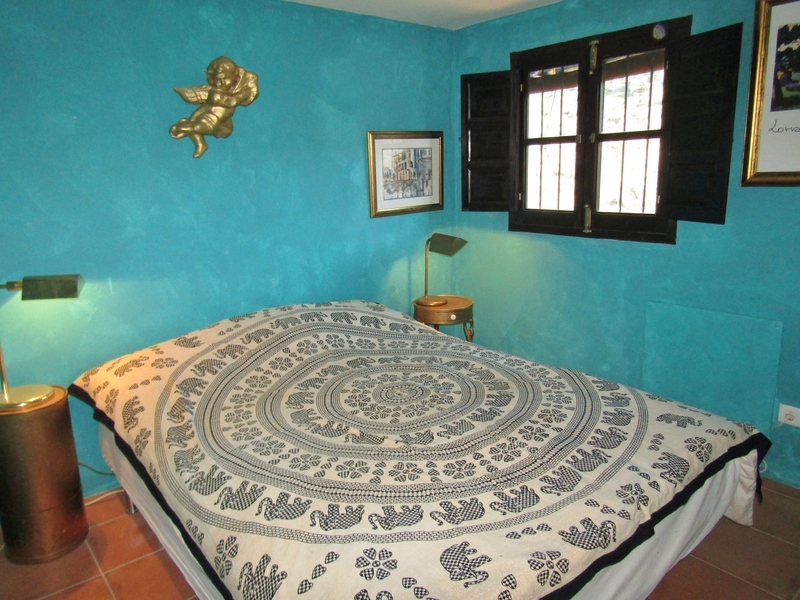 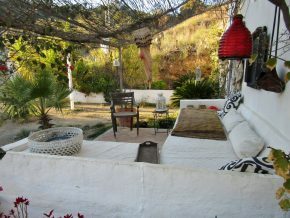 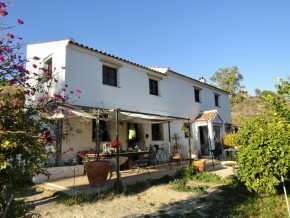 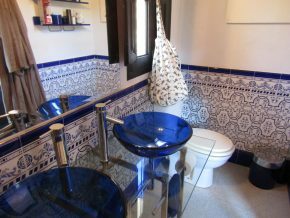 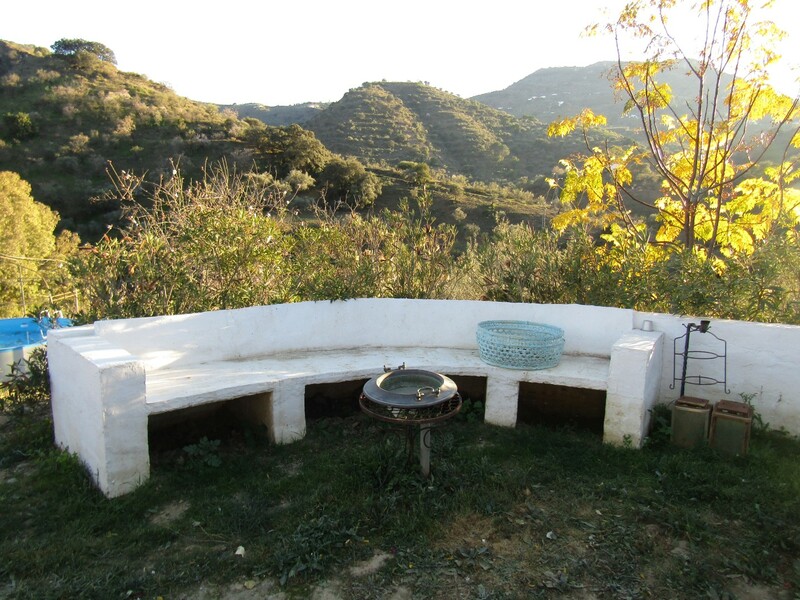 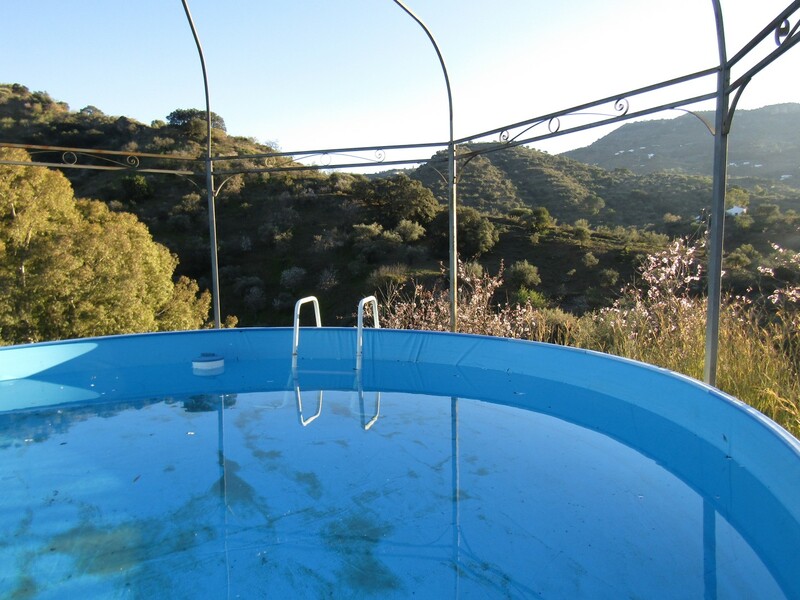 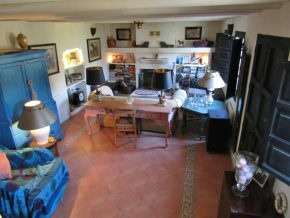 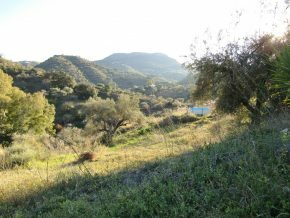 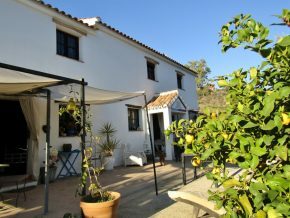 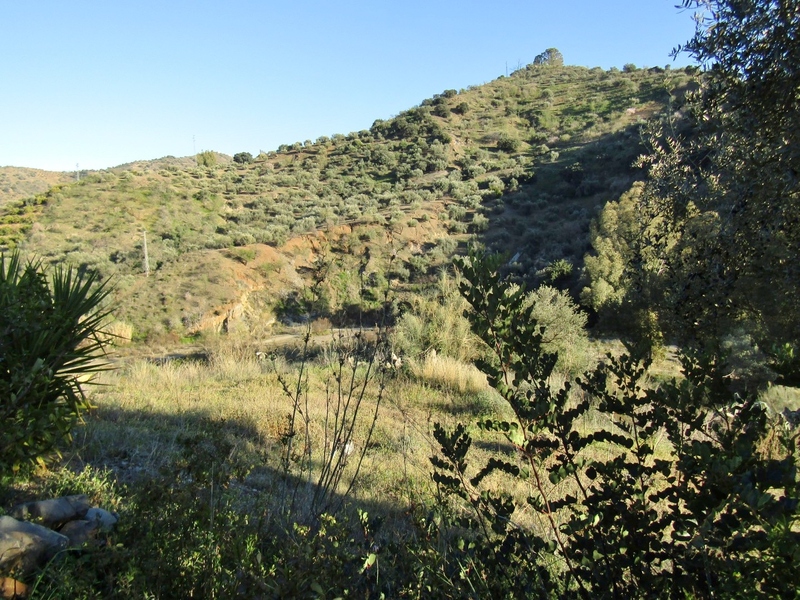 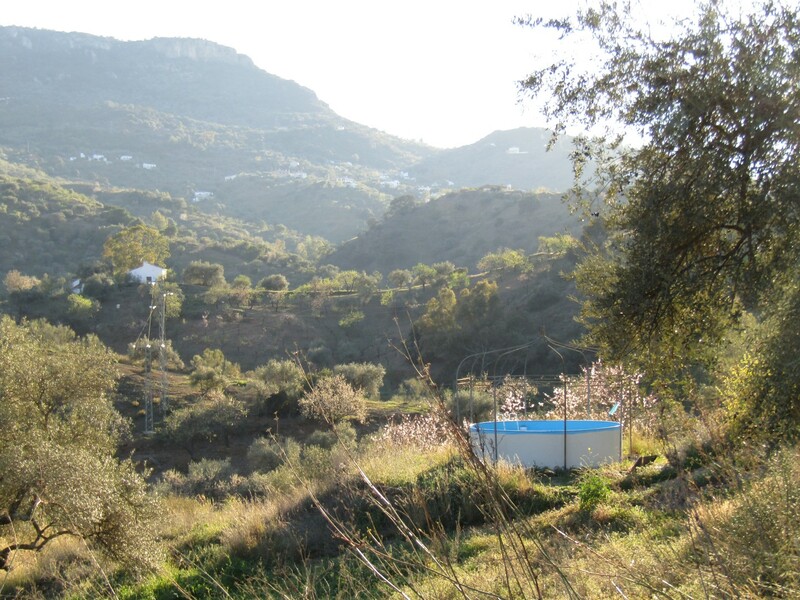 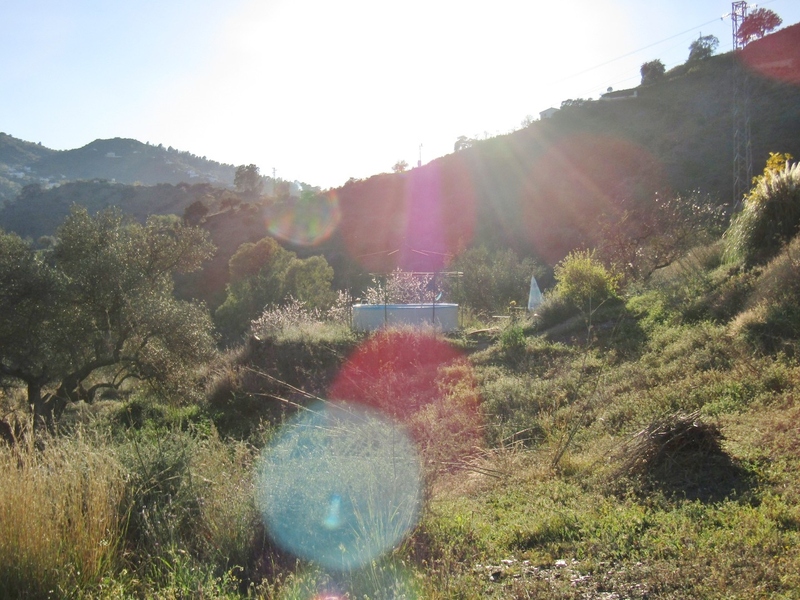 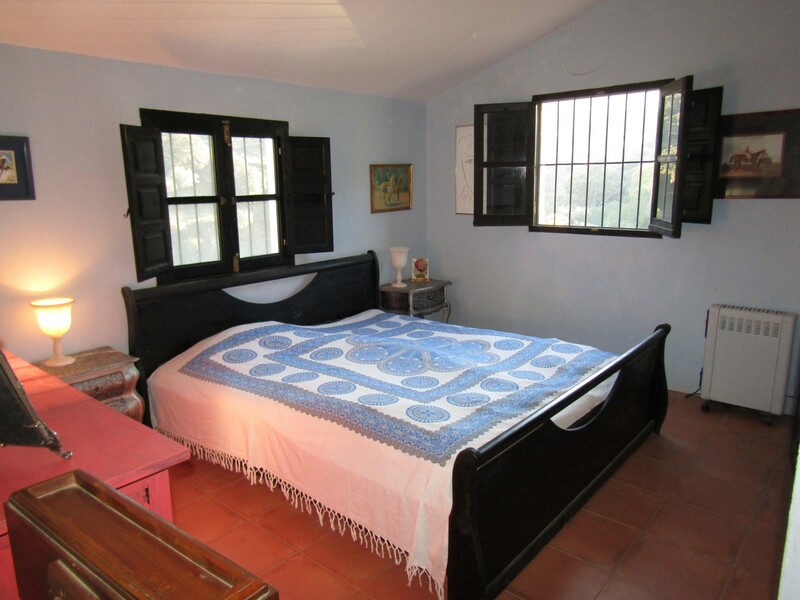 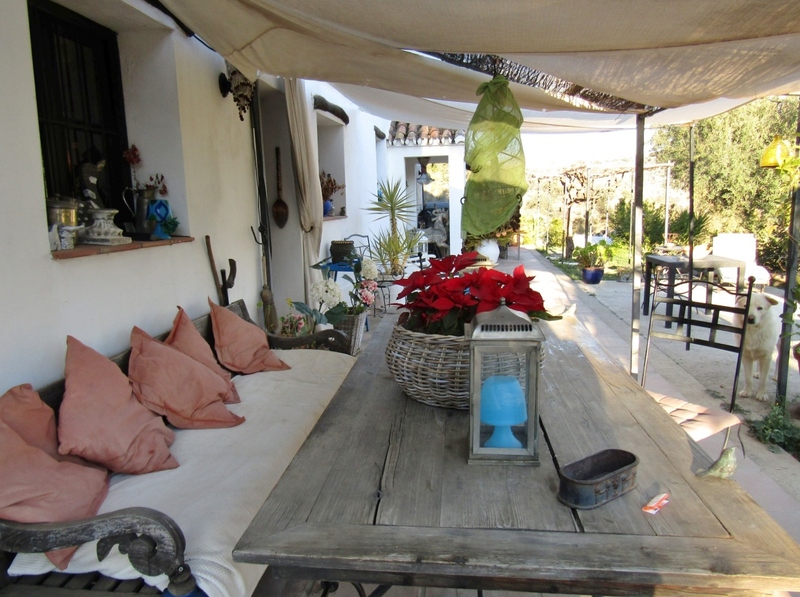 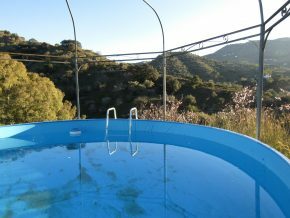 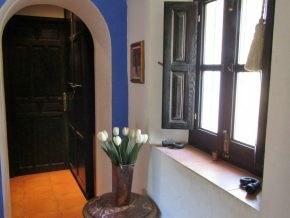 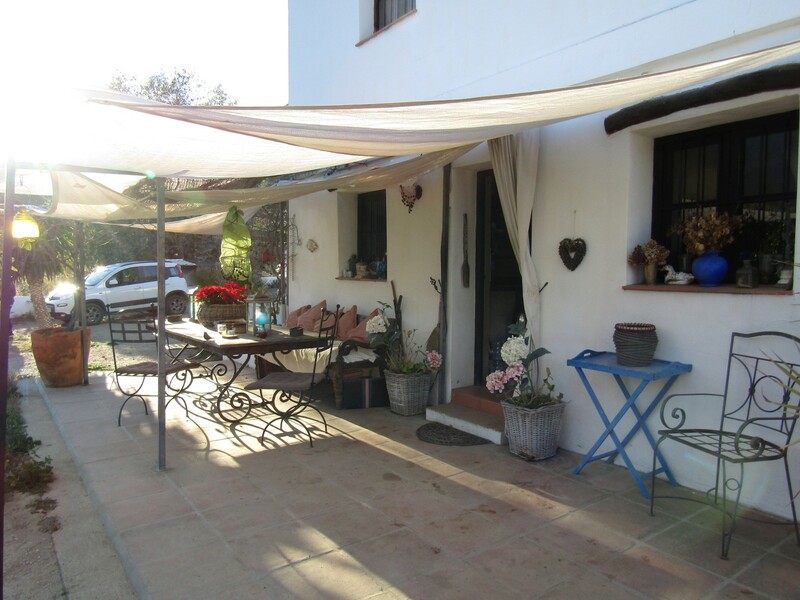 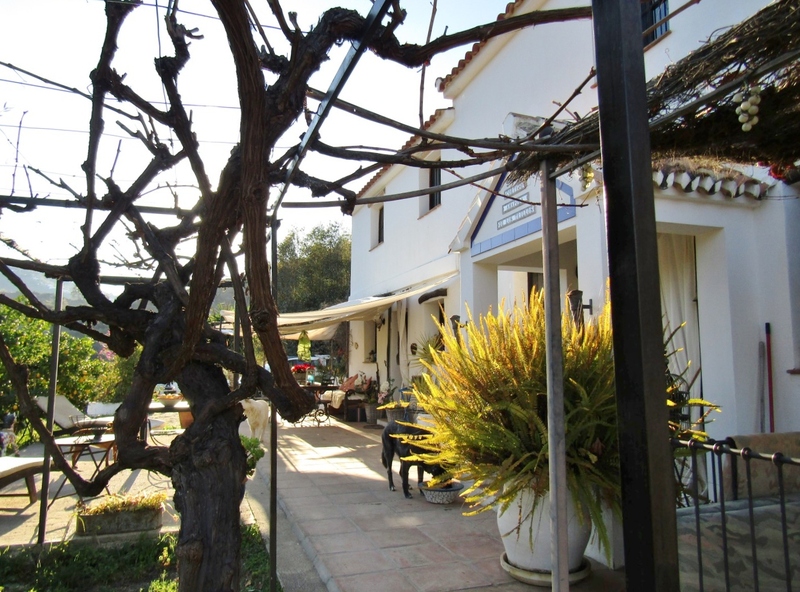 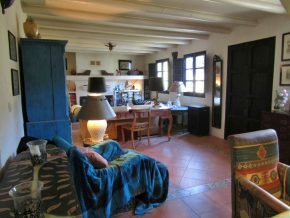 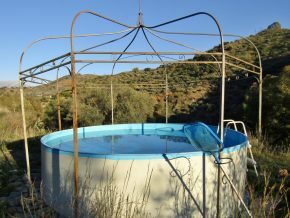 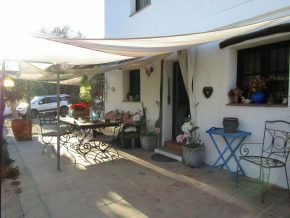 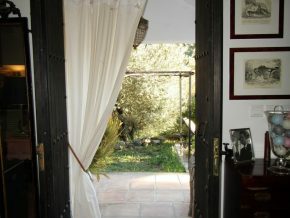 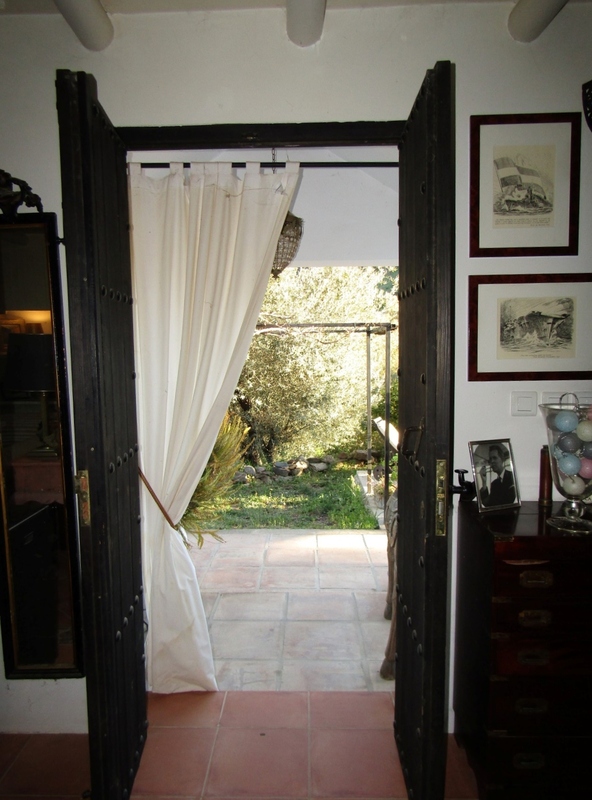 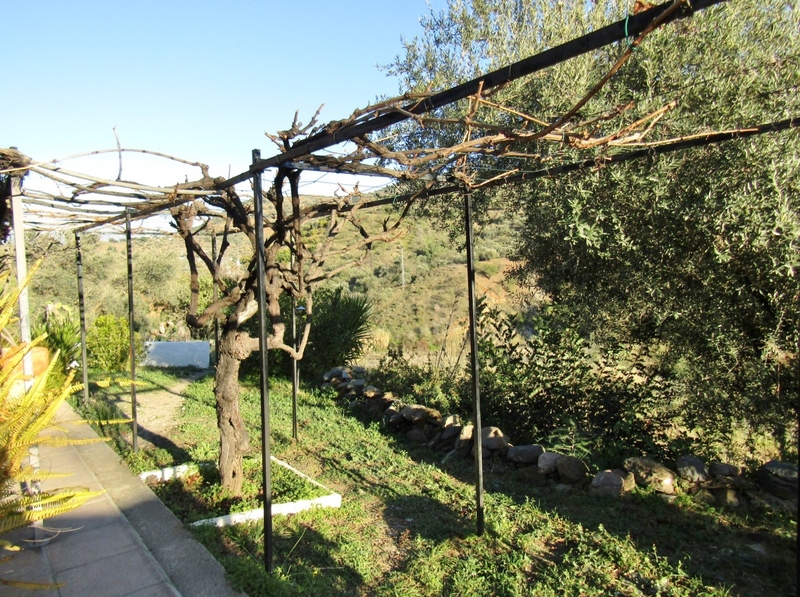 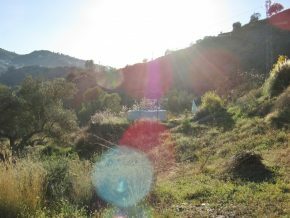 15 minutes’ drive from Comares, Colmenar or Riogordo villages. Located in a beautiful, secluded location in the middle of totally unspoilt countryside, this gem of a country house offers peace and tranquility in abundance! 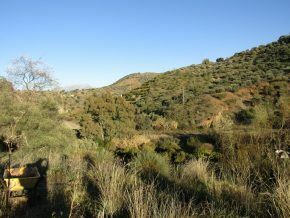 From here one can walk for miles through the countryside without coming across another person. There are neighbouring houses, but these are totally hidden and at a reasonable distance. 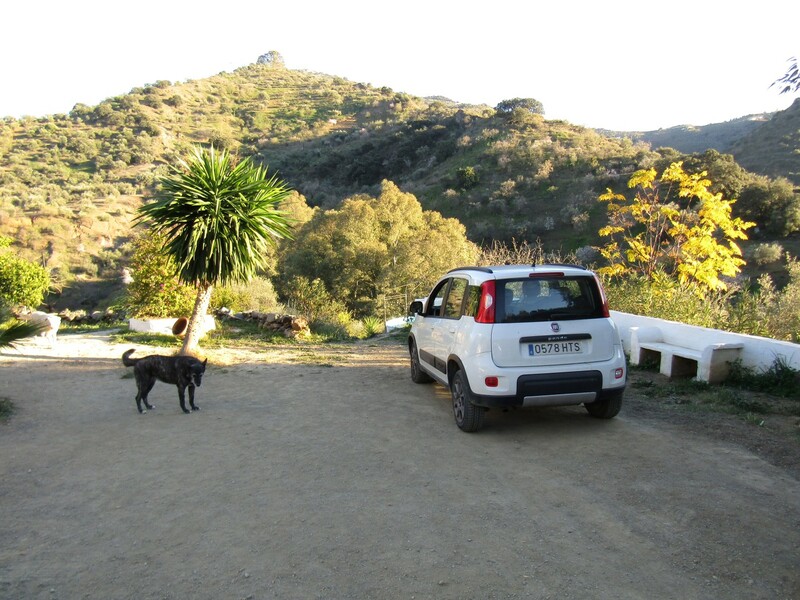 A rough track (passable in most cars) of only a short distance leads to the house and ample parking area to the side of the house. The house has three cane-covered outdoor living areas, one to the West side, the other two to the front, with lovely views of the hills and river valley. The front door leads into a large, country style kitchen-dining room with rustic style units. 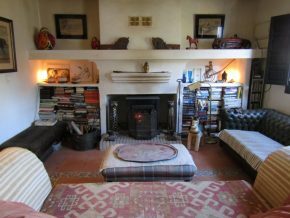 Beyond, past the stairs, is the spacious living room with traditional fireplace at the far end, and double patio doors leading out to the front (South) of the house. 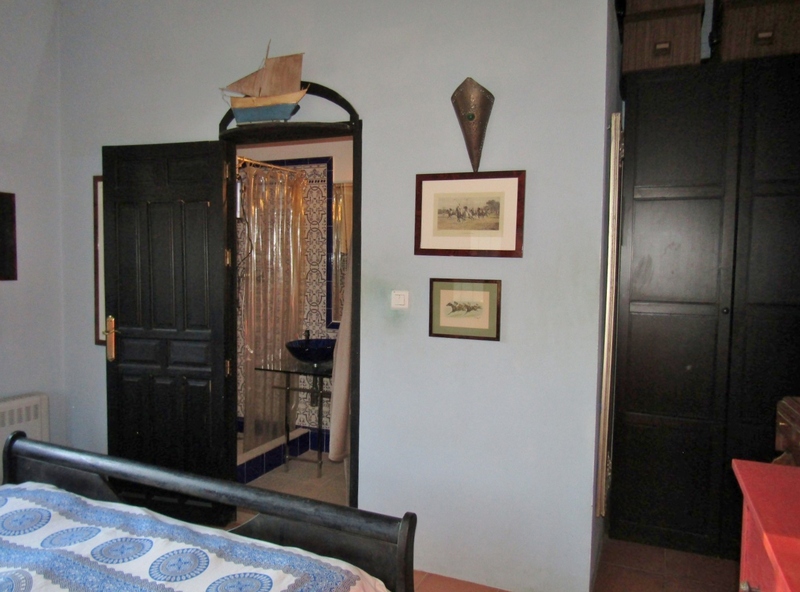 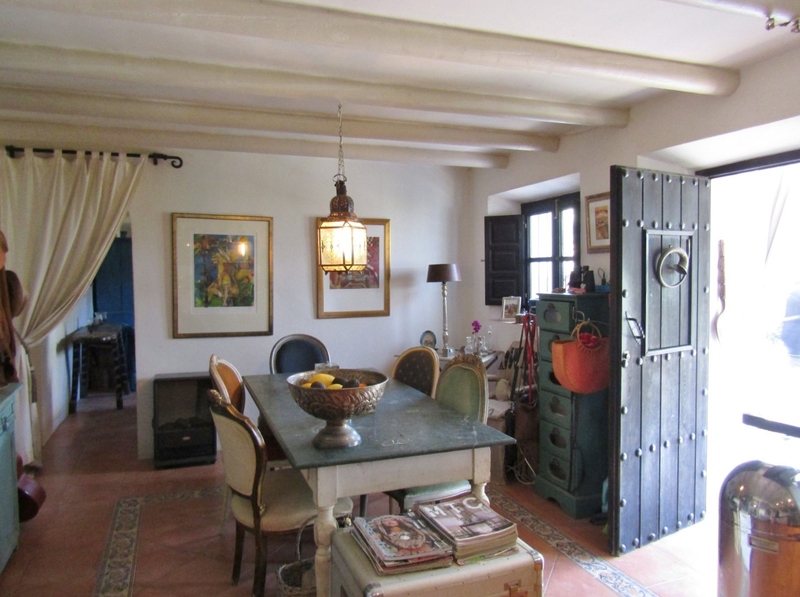 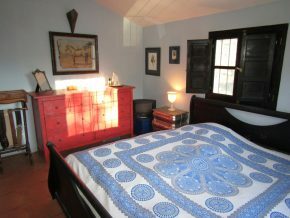 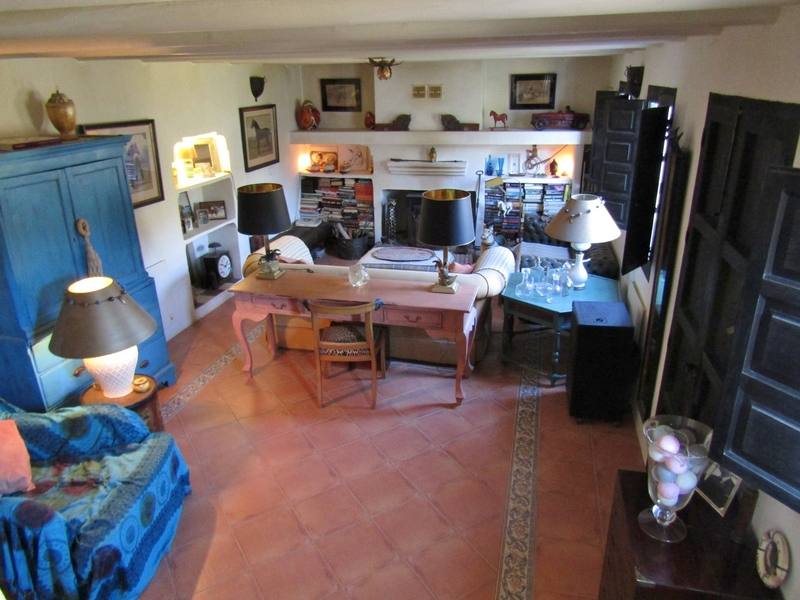 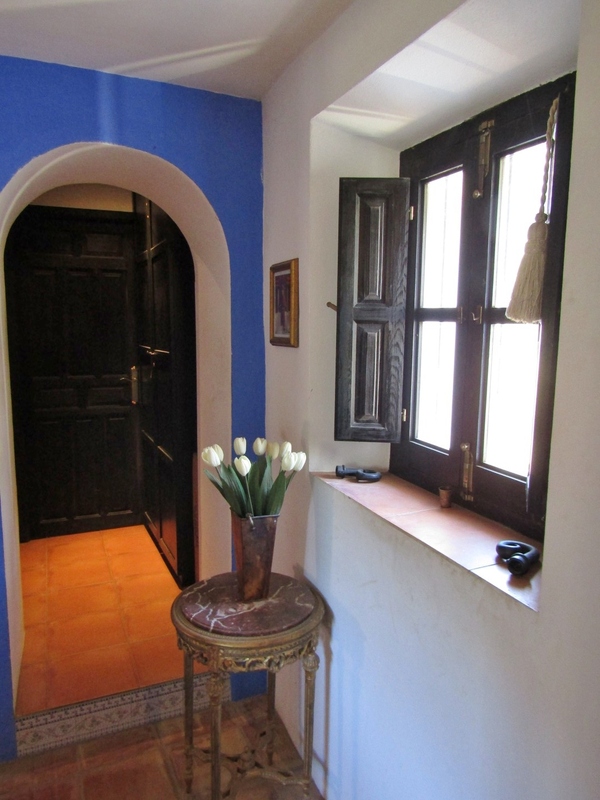 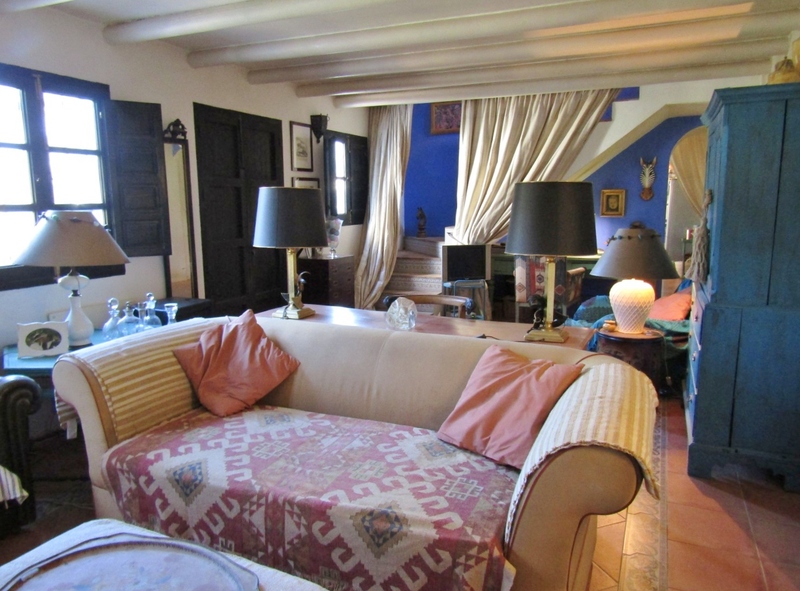 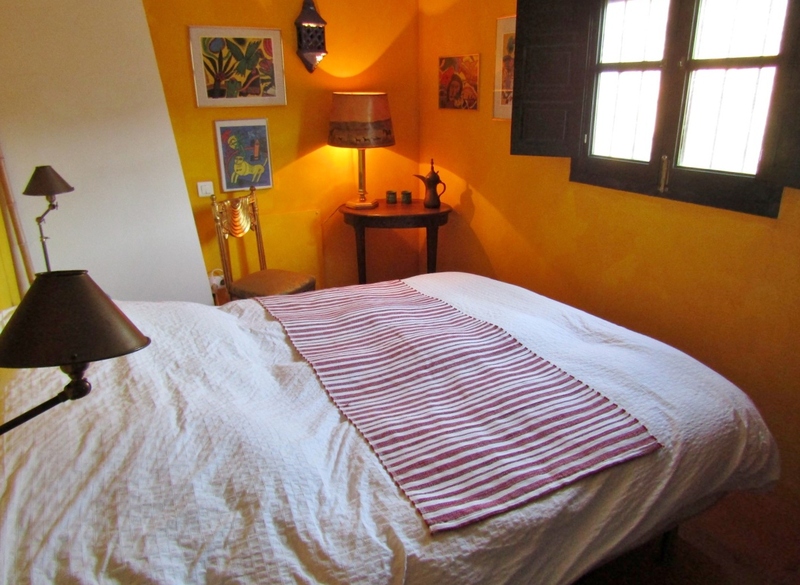 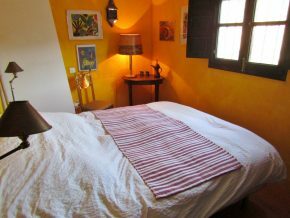 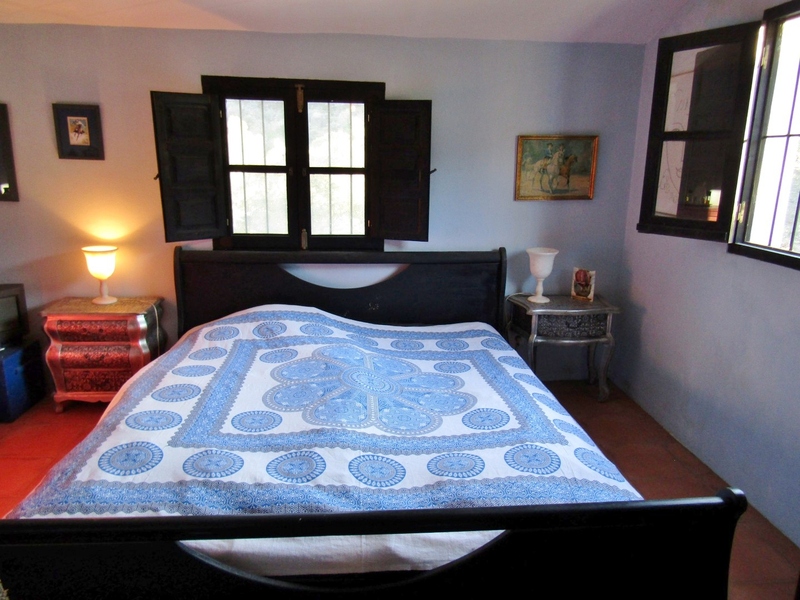 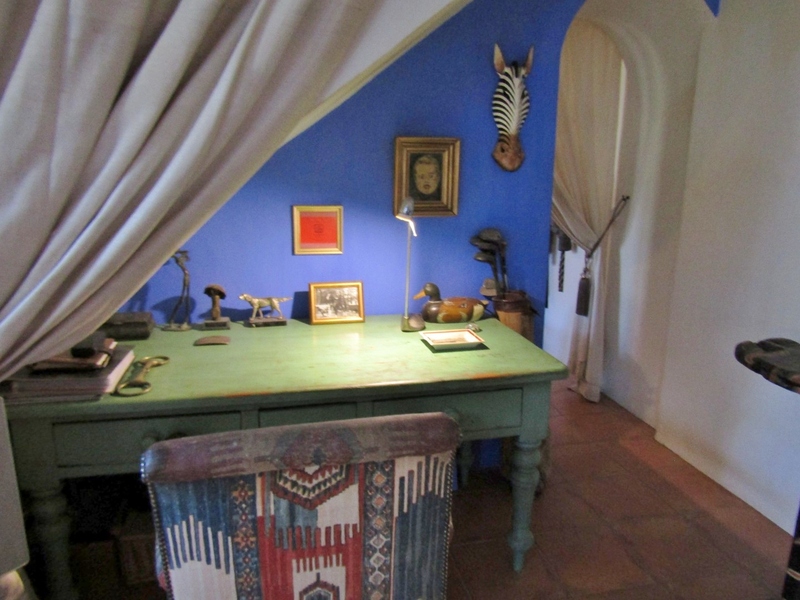 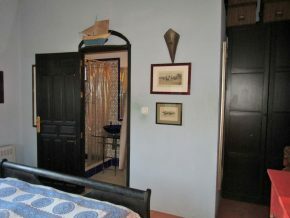 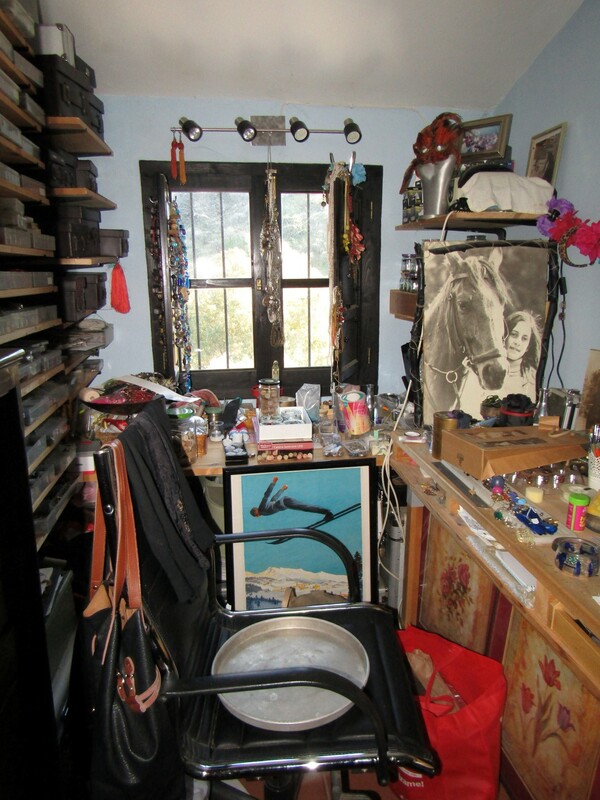 These two rooms are full of character and atmosphere, cosy and homely and very beautiful. 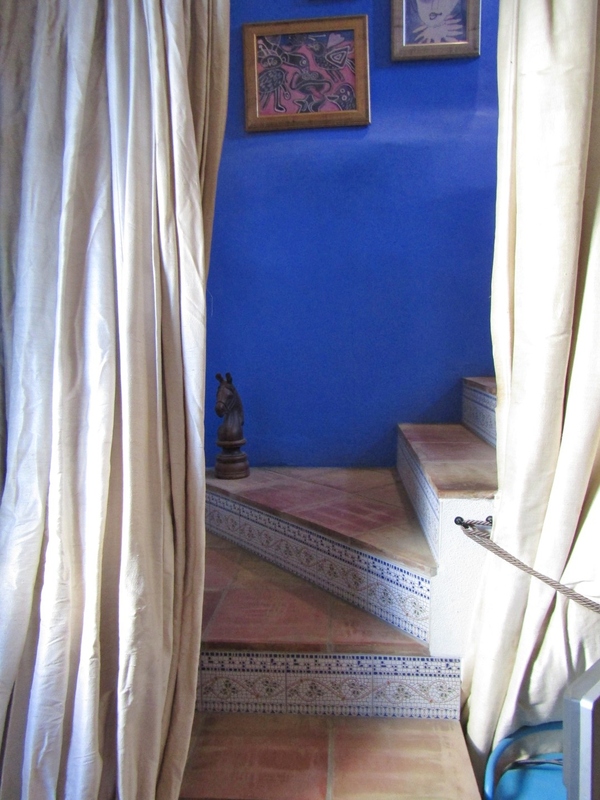 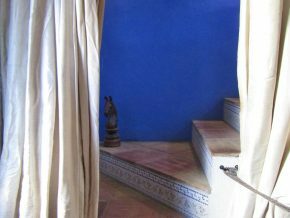 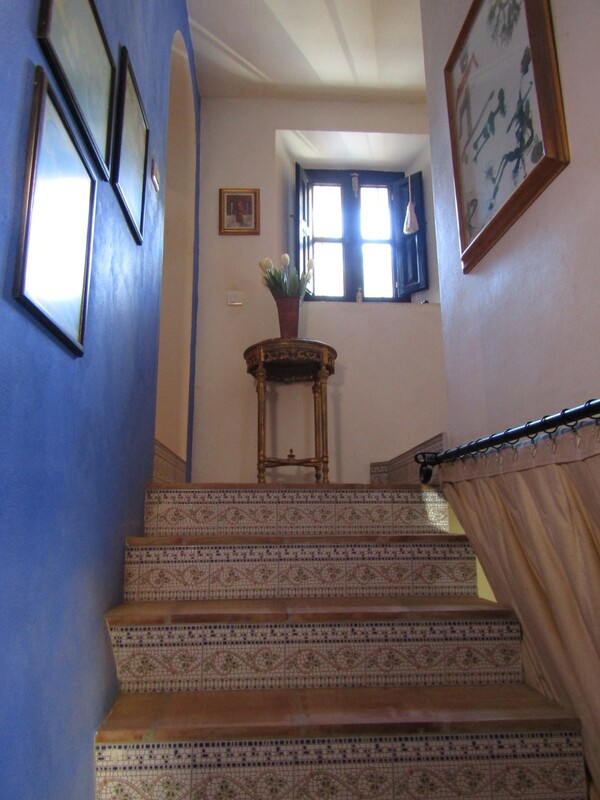 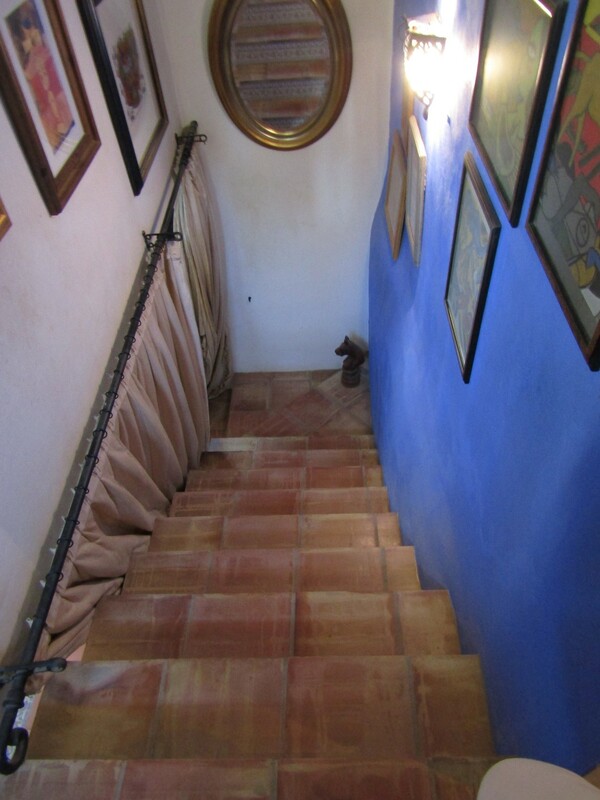 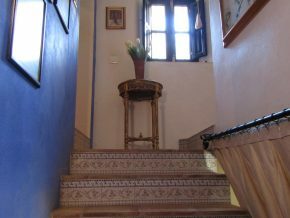 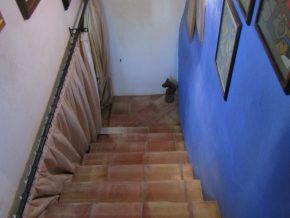 The wide stairs lead up to the upper floor, where a short corridor takes one to the left of the right. 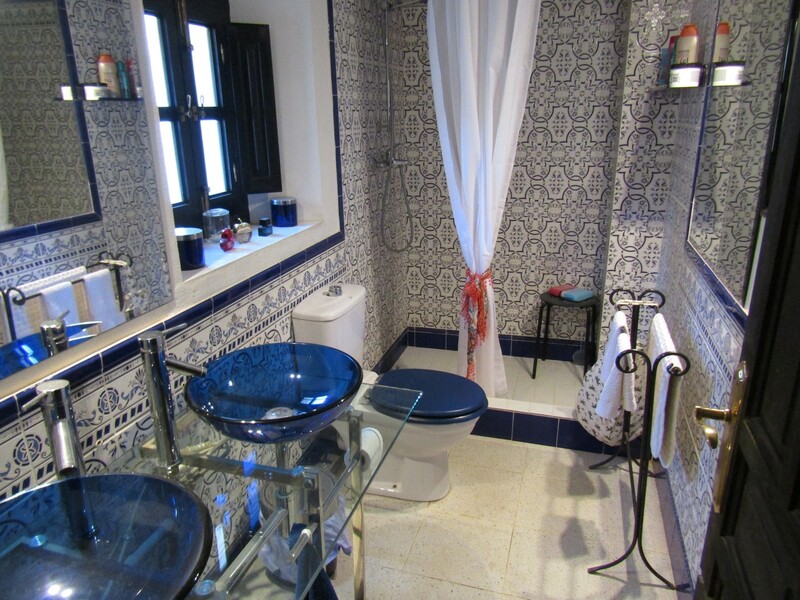 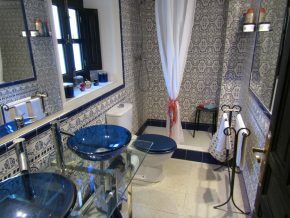 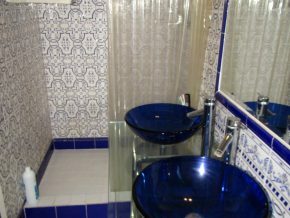 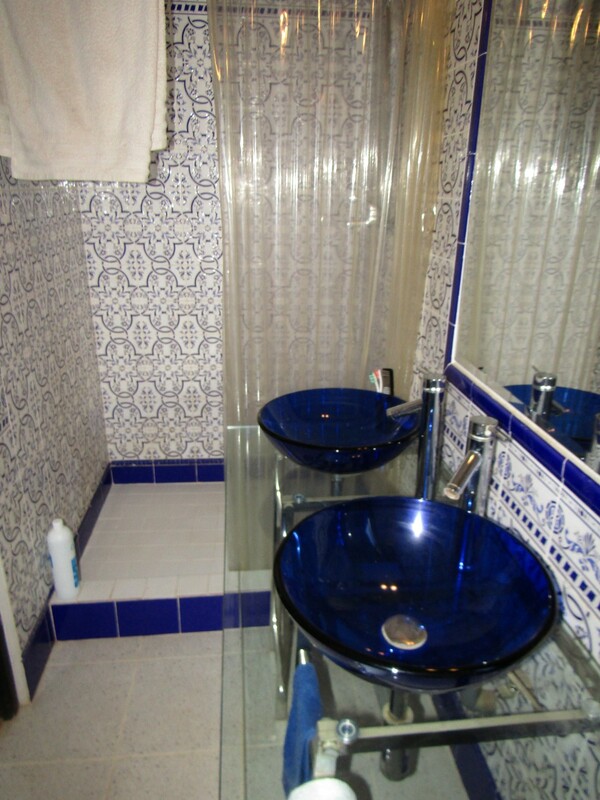 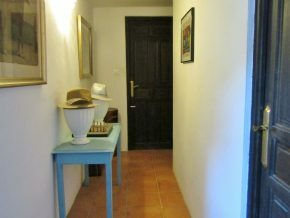 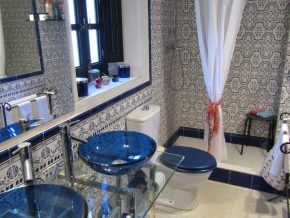 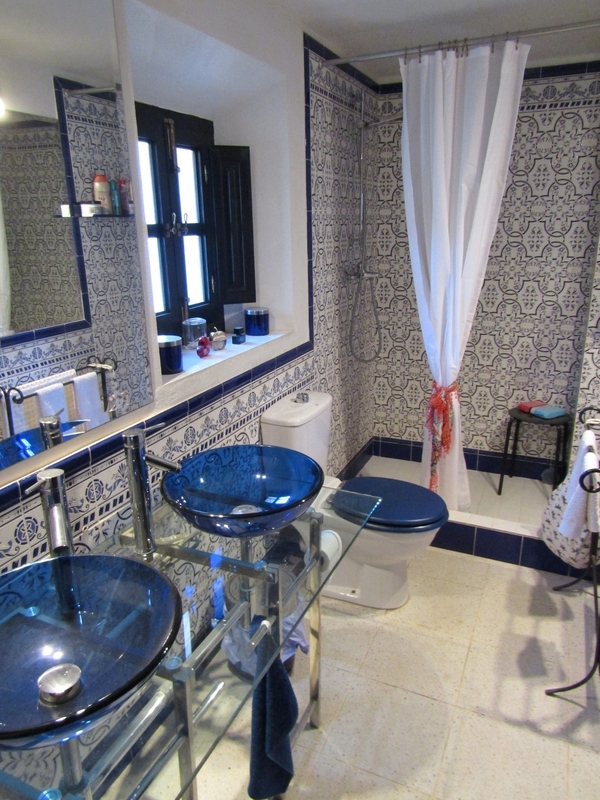 To the right are the two guest bedrooms (4 x 2.75m and 3.5 x 2.75m) and a very beautiful bathroom (3 x 1.5m). 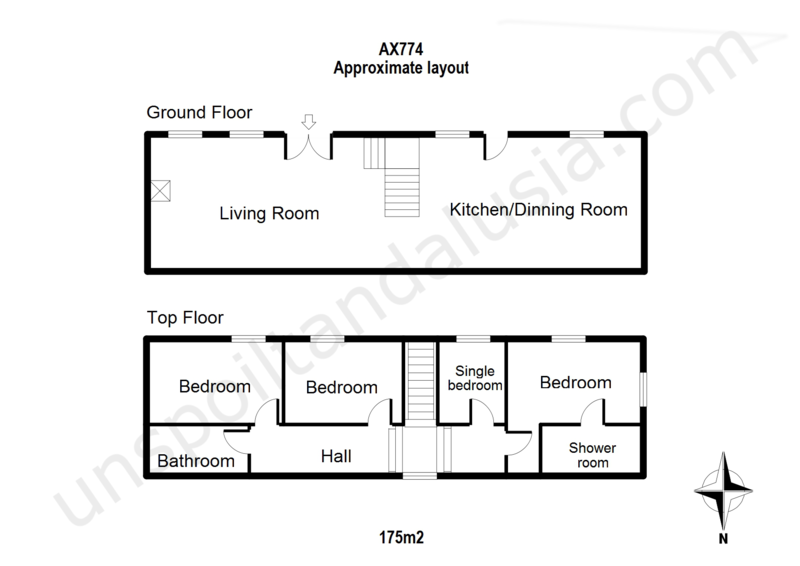 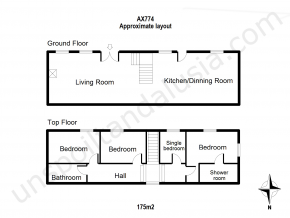 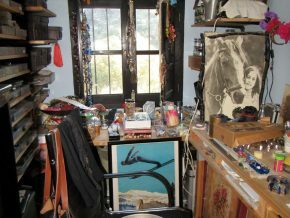 To the left is the single room (currently used as a jewellery workshop), (2 x 3.5m) and to the main bedroom (4 x 3.5m) with ensuite shower room (3 x 1.25m). 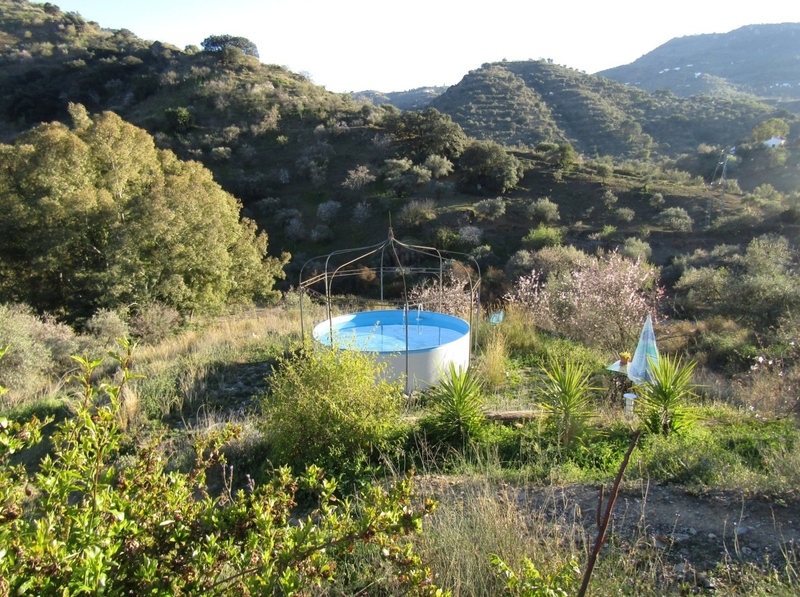 Outside the grounds extend all around the property, with a lovely little area close by where there is a round dip pool located within an ancient pebble covered threshing circle or ‘era’. 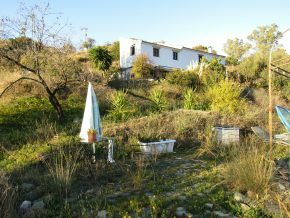 There is plenty of space to grow trees, or create a kitchen garden, or the entire plot can be left to nature, as are all its surroundings. 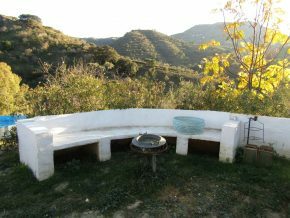 This is a protected area, and no other buildings would ever be permitted here, so total peace and tranquility is guaranteed. 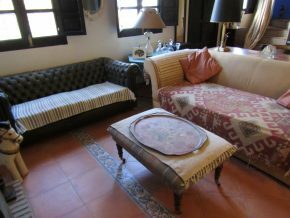 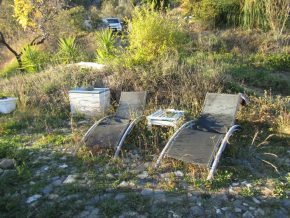 IBI (council tax): 400€ p.a.